Windows Phone 7 users who want to jailbreak their phones in a Microsoft-approved fashion can now download and install ChevronWP7 Labs for $9. The ChevronWP7 team refers to its product as an "unlock" tool, a term that usually means freeing the phone's SIM card slot so that you can use the phone on other carriers. In this case, however, "unlocking" means opening the phone up to install, run, and debug unsigned, or "homebrew" code. In other words, it's a way to run apps from outside of Microsoft's Windows Phone Marketplace. The official tool requires a $9 "token," which can only be used on a single device. For users who want to create their own apps, ChevronWP7 is a less expensive alternative to Microsoft's App Hub developer program, which costs $99. Unlike iPhone jailbreaking, Windows Phone 7 "unlocking" via ChevronWP7 has the blessing of Microsoft--though this wasn't always the case. 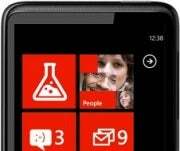 The team released its first "unlocking" tools for Windows Phone 7 over a year ago, but had to remove from the Marketplace upon Microsoft's request. If users "unlock" their phones via ChevronWP7, their warranties will remain intact and they'll still be able to get Microsoft support for the phone. "It may be the long way around, but we feel this approach is ethical, the best way to ensure that the program stays alive and hobbyists like us get more access to cool toys," the ChevronWP7 wrote last month, announcing that the unlock tool was nearly complete. If you're looking for homebrew Windows Phone apps, the XDA-Developers forum has a section dedicated to the topic. Apps that are already available include a battery status live tile, a screen capture tool, and a Webserver app.